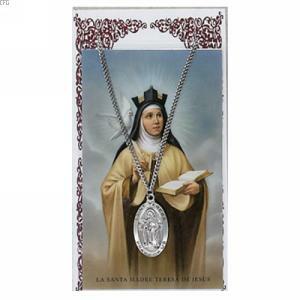 This oval St. Teresa of Avila medal measures 1 1/6 in long and is made of pewter. This medal comes on an 18 in. chain. Matching laminated St. Teresa of Avila prayer card included. Patron Saint of Headache Sufferers and Spain.